Not asignificant source of dietary fiber, sugar, vitamin A, vitamin C,calcium or iron. *Percent Daily Values are based on a 2,000calorie diet. 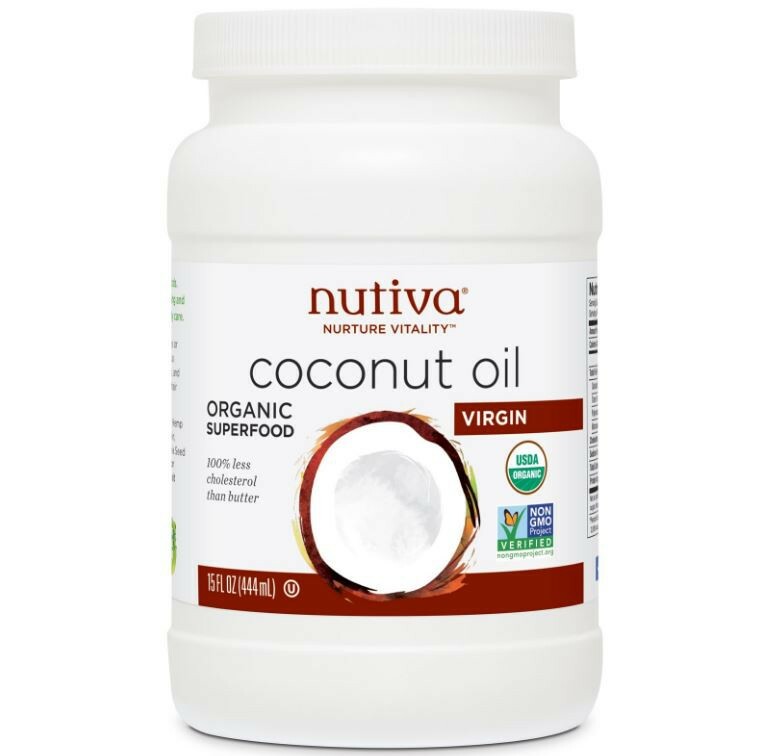 Organic, unrefined, cold-pressed virgin coconut oil.Bottle in a peanut free facility. 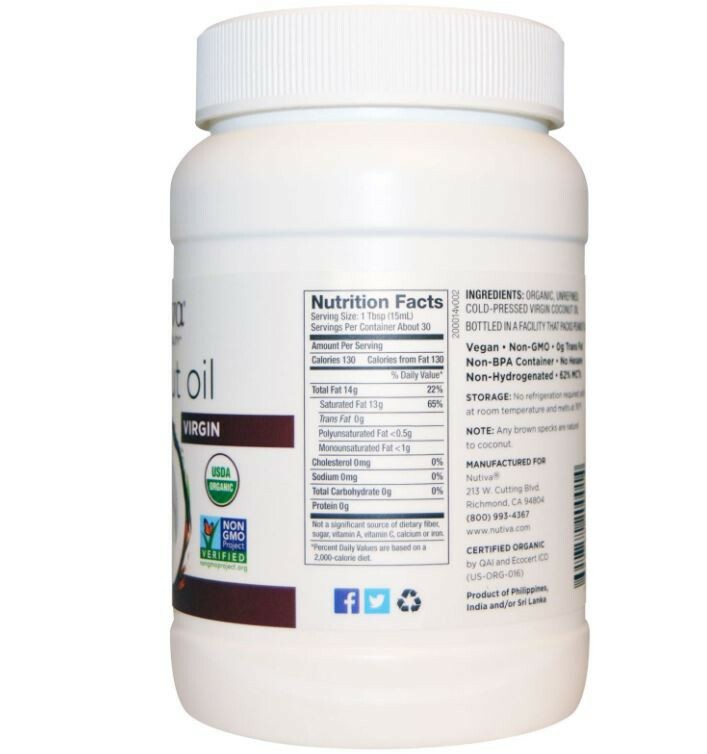 VersatileIdeal as a medium heat cooking oil (up to 350Â°F) and delicious on bread, vegetables or popcorn. 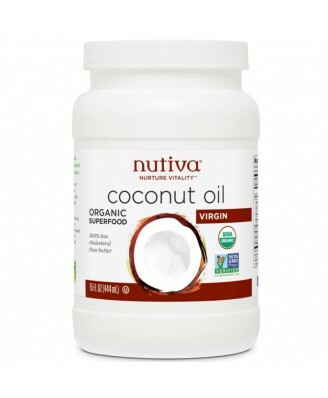 A nutritious substitute in baking, and great for skin care, hair care and massage. , Storage: No refrigeration required; solid at room temperature and melts at 76Â°F.Note: Any brown specks are natural to coconut.